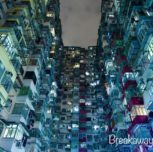 Hong Kong is an easy and safe city to explore on foot and you could walk everywhere. 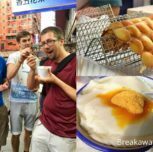 Our temples and markets tour is ideal for people who would like a detailed overview of Hong Kong and also for people who would like to make the most of a limited amount of time in Hong Kong. At 2:00 p.m, our friendly tour guide will meet you at Diamond Hill MTR station. Nan Lian Gardens - over 3.5 hectare area and is the only Tang Dynasty landscape Garden layout that can be traced today. Each stone, tree, rock or water elements are landscaped after specific rules and regulations. It is built with one-way circular route which will take you through the best views of the Garden. 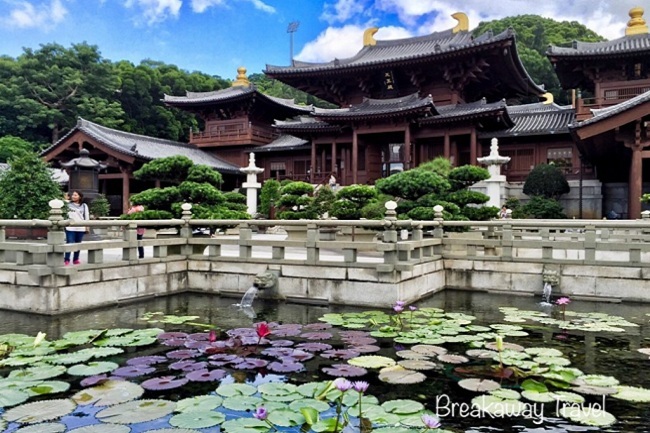 Chi Lin Nunnery - where Buddhist nuns meditate and seek enlightenment. It covers 33,000 square meters and consists of dozen of different halls, lotus ponds and a five-floor thousand-buddha pagoda. As a Buddhist temple, Chi Lin Nunnery also has the statues of Sakyamuni Buddha, Guanyin and other buddhas. 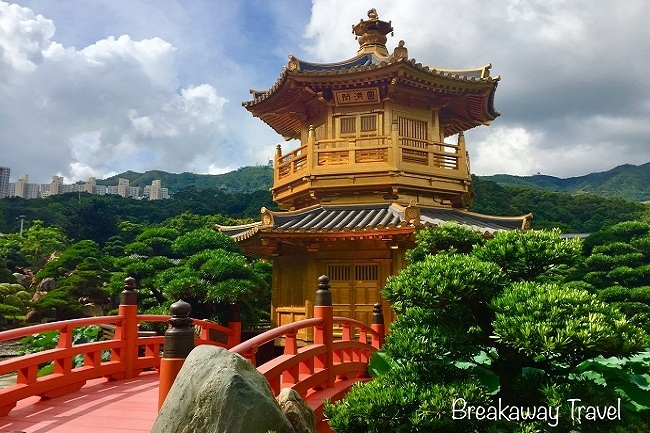 Wong Tai Sin Temple - a Taoist Temple where tens of thousands of worshippers pray to their ancestors and to the Temple deities. 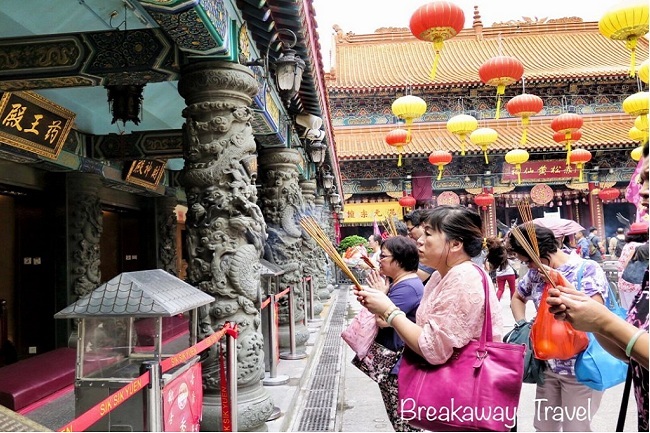 Wong Tai Sin Temple is not only popular among locals but also very well known among Chinese from all over the world. It was said and strongly believed that Wong Tai Sin will grant whatever is requested. Fortune telling - is also another main reason for the temple is well known. It is said that the accuracy of the fortune telling in this temple is very high and accurate. When you visit the temple, you may knee down in front of the altar, make a wish by shaking a bamboo cylinder containing bamboo fortune sticks until one stick falls out. You may exchange this fortune sticks for a piece of paper with a number on it and find one of the many soothsayers next to the temple who will interpret the fortune for you. Sneaker Street - is on Fa Yuen Street between Argyle and Dundas, you will find big selection of sneakers from all the big brand names. If you find something you like, don’t hesitate too long as it might be sold out later due to its’ fast turn over. 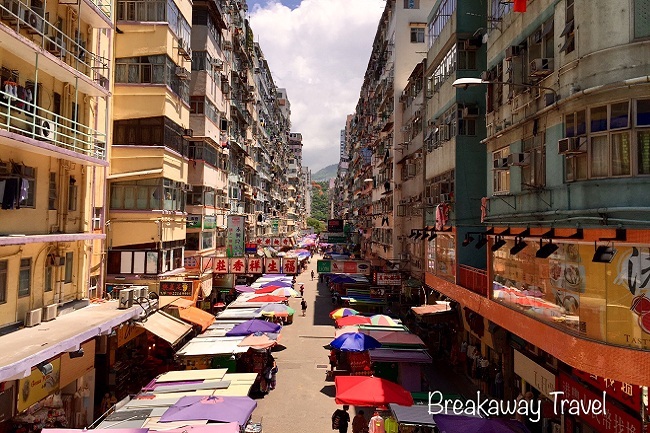 Ladies Market - the most popular open air market in Kowloon side. It offers products and souvenirs for everybody nowadays from T-shirts, watches, clocks, handbags, DVD, I Pod/I phone covers etc. Some stalls don’t have products but only catalog of luxury brands of handbags or watches but please be aware that these are fake watches and handbags and because it’s illegal selling, so they cannot put their watches or handbags there. Minimum 2 adults are required to operate the tour.